There’s no doubt that Public Enemy are one of the most influential, important Hip Hop Icon’s of the last few decades. 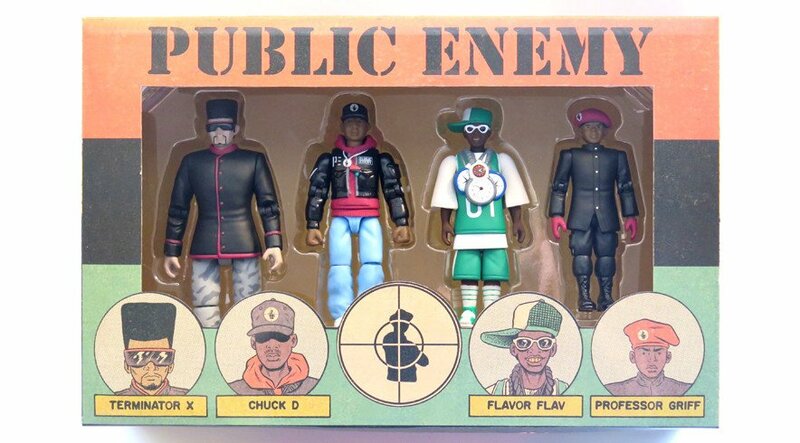 They were inducted into the Rock and Roll Hall of Fame in 2013, Public Enemy’s “first action figure as a set” is now available for purchase. The iconic group – Chuck D, Flavor Flav, Professor Griff, and Terminator X – has been made into action figures. Each figure stands around 4 inches tall. The set retails for $59.95 and can be pre-ordered from Aggronautix. The collectibles are set to ship in August or September.